Occasionally I save an email message from Thunderbird to a file, and when I do that the file has an .eml extension. For those new to this concept, the .eml file extension is usually applied to files in the MIME RFC 822 standard format used by email applications. You can open that .eml file using Thunderbird (which is available on Mac OS X, Windows, and Linux) or using Mail.app on Mac OS X, and I’m sure using many other applications that adhere to the standards. I can even open .eml files in a text editor and easily read the text/plain portion of a multi-part email message. 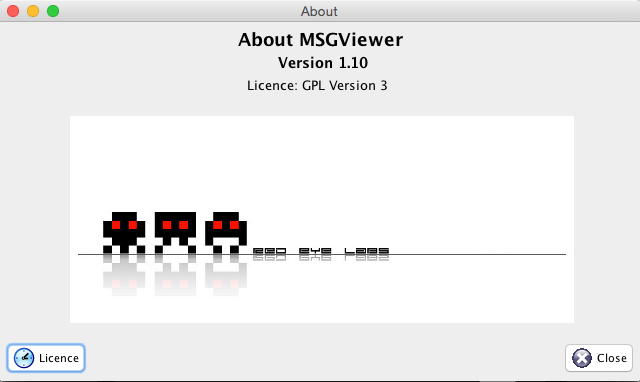 Luckily MsgViewer is an application (well, a JAR file) which (as long as you’ve got Java installed) can open these .msg files. You can grab MsgViewer from SourceForge. And seriously, why does Microsoft do this kind of stuff?? Posted on Tuesday, January 5th, 2016 at 8:00 pm. Subscribe to the comments feed. Both comments and pings are currently closed. Post on your own blog.